Home » Dr. Victor Marchione, M.D. 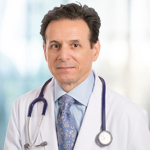 Dr. Marchione is a respected leader in the field of smoking cessation and pulmonary medicine. He has been featured on ABC News and World Report, CBS Evening News with Dan Rather and the NBC Today Show. As well as being on the Advisory Board for Bel Marra Health, he is also the editor of the Health eTalk newsletter. Dr. Marchione has also served as principal investigator in at least a dozen clinical research projects relating to serious ailments such as bronchitis, pneumonia, asthma and chronic obstructive pulmonary disease. Do Microwave Ovens Really Cause Cancer?